Was surprised to find out I could get a new crown in one hour. The 3D modeling of my new crownwas amazing. Highly recommend Dr. Shah. Was surprised to find out I could get a new crown in one hour. The 3D modeling of my new crown was amazing. Highly recommend Dr. Shah. The entire staff was so friendly and professional. I felt welcomed as soon as I walked through the door! This wasmy first visit. Dr. Shah took the time to understand my dental history and properly discuss the steps I needed to take to maintain my dental health. He is extremely knowledgable and made me feel comfortable under his care. The entire staff was so friendly and professional. I felt welcomed as soon as I walked through the door! This was my first visit. Dr. Shah took the time to understandmy dental history and properly discuss the steps I needed to take to maintain my dental health. He is extremely knowledgable and made me feel comfortable under his care. If you are like most dental patients, your anxiety over visiting the dentist’s office is only compounded by the additional concern of being treated by an unfamiliar dentist. And what about the dentist’s staff? Will they take the necessary time to help you feel at ease? In our office, we make sure you are comfortable before we begin even the simplest procedure. We take great pleasure in greeting new patients personally, and spending with them all the time they require for a thorough dental assessment and to answer all of their questions. Our practice includes children, young adults and senior citizens. The Meridian Dental team diagnoses and treats all dental problems, including straightening teeth without braces using the incredible INVISALIGN System and whitening with DISCUS DENTAL professional tooth whitening products. 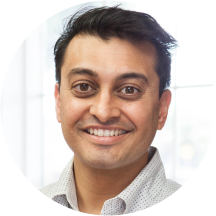 Dr. Raoul Shah, has been practicing dentistry for over ten years, and he strives to provide you with comprehensive, high-quality dental care. We provide specialized, personal care, and we welcome both adults and children to our family-friendly dental office. what I asked was not be done. bad. give me bills of thousands. He was very warm, kind and knew what he was talking about! Enjoyed my visit and the staff was very kind and welcoming. Unsure whether the cost was on the higher side!